Ensuring that their kids get the best out of life is something that all parents aspire to. But there is so much to consider. You want them to get out and enjoy nature, but you also want them to be able to learn at the same time. Buying them a set of binoculars is a great way to tick both boxes – they use them out in the "wild," and so are getting fresh air and you can make it an educational experience at the same time, by getting them to look for a particular bird or tree. But, what you look for when buying binoculars for kids? What features are most important, and what are not that essential? In this post, we will find the answers to those questions but, more importantly, we will also review the top five choices for kid’s binoculars. Which binoculars are the best? 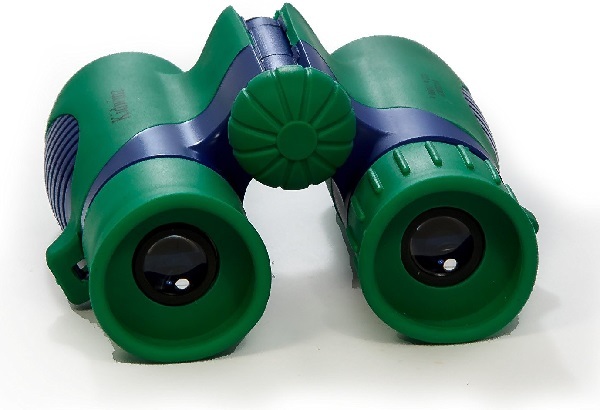 What factors Affect the Purchase of Best ​Kids Binoculars? ​What Do Those Numbers Mean? Let’s start off with the top five best sets suitable for kids. This will give you an idea of what to look at. ​These are designed specifically with kids in mind and so comes out top of the list. This is a mid-range option when it comes to price. It is also the set that offers the best value. The outer casing features both plastic and rubber making this highly resistant to shocks, even from a fair height. You would have to literally drop these off a cliff to make a dent. The glasses come in a carry case and have a cloth that enables children to clean the lenses without scratching them. There are a total of five image-producing lenses on either side that enables your child to get a clear image up to a distance of 122 meters. The exit pupil distance is 10mm for each side, and the lenses are coated with the focus-central coating that further boosts the image. ​Good for children from the age of three and up. ​Will last a good few years. ​Comfortable for kids to use. ​Comes with a neck strap that is 25 inches long. ​Compact and easy to transport. ​These are slightly more expensive than most of the other options but should last well, so that does need to be factored in when thinking about price. These are also compact and offer a high-quality finish as well. They come with a carry case and dust cloth to clean the lenses. ​The compact design is easy to carry. ​Can be used by young children and also by young adults. ​There is a magnification of eight times. ​The lenses are excellent quality and will allow the child to see as far as 122 meters. ​Light-weight, these can be carried in one hand by older children. ​The casing makes it dust-proof, shock-proof and water-resistant as well. ​If looked after well, these will last for years. ​The width of the arms can be adjusted so you could borrow them if need be. ​They are one of the more expensive options on the list, but still, do not come in at a bad price. ​It’s a very minor complaint, but they only come in blue or pink. I would have preferred a plainer option in black. These are the priciest option on the list but do offer some really outstanding features. These work well for kids and adults. Your kids would be able to grow with this set. The lenses inside are really high quality and offer a crystal clear vista. They magnify the outside world at ten times. Your child will be able to see up to 1000 meters. The field of view is wider. The casing is shock-proof and weatherproof. What this means is that this set will be fine if used in the rain or if splashed with water. These are light-weight and easy to carry. The bracket is completely adjustable to help your children get the most comfortable fit possible. 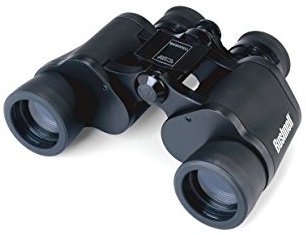 ​Good for amateurs and those who have had some binoculars before. ​The case can be hooked onto a belt to keep it secure. ​They have a good manufacturer’s warranty. ​The price is higher than all the others reviewed here. The color of the outside is yellow and black, with no other choices being available. ​These are more suitable for younger to older teens. These are a sturdy set that will​​​​ last a long time. Bushnell is a leading manufacturer in the industry with close to a half a century of experience. This set showcases their engineering prowess perfectly. ​These come in at a reasonable rate. ​They offer seven times magnification and also feature an auto-focusing prism for a clearer image. ​The lenses are high-quality with a built-in Instafocus that makes it easy to focus on objects that are moving quite fast. This is awesome for children as they cannot always focus well on items of this nature. ​The exterior is non-slip and offers an excellent grip. ​The design of the lens caps makes it possible for these to be used in conjunction with prescription glasses or sunglasses. ​Field view of up to 330 meters. ​A larger lens size makes it easier to capture more details. The close focusing function makes it possible to focus in on items nearby as well. ​These are not as sturdy as some of the other models reviewed. ​They are not shock-proof so really not suitable for young kiddies. ​This is the best-priced item on the list. It is durable and offers overall good value for money. ​This will work well for children a little older. ​Magnifies up to six times. ​Comes with a belt loop, a cleaning cloth, carry case and neck strap. ​Really clear image and great for kids to use. ​Some users found that small kids have problems adjusting it. ​Comes in red or black only. 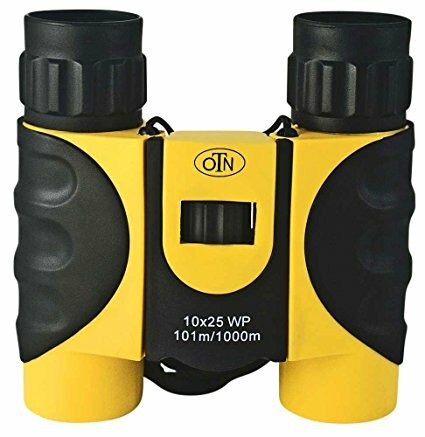 When you are looking for a great pair of binoculars for yourself, it is hard enough. When they are for your children, it is even more difficult. The younger your children are, the less likely you are to want to spend money because you know that the set is not going to be looked after properly. At the same time, though, you want something decent that will get your kids excited and wanting to learn more. And you don’t want something that will fall apart the first time your kids use it. The options that we have discussed above strike a good balance in terms of cost and actual value. They are all durable and will be able to take a fair amount of punishment overall. When shopping for the perfect pair, here are some other things that you need to take into consideration. Generally speaking, when buying for your child, eight or ten times magnification is more than enough. They will never really need a lot more magnification than this, and there are some negatives to the more high-performance options when it comes to your kids. For starters, the better the magnification properties, the lower the field of view usually is. This could leave your kid missing out when it comes to tracking moving objects. Also, the higher the performance of the pair, the more likely they are to have a lot more components. This makes them heavier, which is not such a big deal if you are an adult. If, however, you are a young child, it means that your arms will tire faster and you are more likely to battle with shaking lenses. This, in turn, makes it harder to focus. Lower magnification usually also lets in more light and so is better in areas where light s not fantastic. This means how wide the image is that your child can see on the screen. Again here, we need to emphasize that the higher the magnification, the smaller the field of view. Now, while that may be great for an adult focusing on one specific item, it makes things more difficult for your child. If you want your child to get maximum enjoyment out of their new toy, you need to focus on getting a set with lower magnification capabilities. There will still be tons for kids to enjoy with these. Think in terms of how big or small your child’s fingers are. Are they easily able to get a grip on the pair? How comfortable is that grip going to be? What if their hands are all wet and sweaty? Will they be able to hold onto them? A rubberized grip is ideal because it has some give in it. Remember that a younger child especially may grip them extra-tight. Rubber is ideal for this because it has a little give. If rubber is not an option, do consider getting a grip that has texture to it as well. Finding a set that allows you to adjust the width of the barrels is ideal because it makes it possible for the child to adjust it perfectly to their needs. For smaller children, a simple wheel in the center makes zooming in or out a lot simpler. ​Size should also be considered when shopping for your child. You need a set that will fit their faces, and this means looking for something that is either designed specifically for children or that is compact in nature. A small or medium set is the best idea. Again, consider the size of your child’s hands – you want something that will fit comfortably. ​​​​This boils down to comfort again. The glasses should be lightweight enough for your child to hold up for quite a few minutes. It is also a good idea to get a set that has a neck strap or wrist strap so the child can more easily carry the set. Good neck and wrist straps also reduce the possibilities of the pair being dropped too far or lost easily. ​While it is not essential to have a set of adjustable arms, this is a good idea. The more the set can be adjusted, the longer it will remain useful to your child. If you have adjustable sets and can get away with it, this will also allow children to share one set of binoculars between them. This is an extremely important feature because it can have such a big impact on how the glasses fit. ​Consider the child’s age and character when buying these. You want a set that can stand some abuse, especially if you have a younger child. You don’t want something that is so expensive that you cringe every time the child takes it out, but you also don’t want the very cheapest pair on the block either because these will break pretty fast. Consider this – if you need to replace them every two or three months, those really cheap options work out a lot more expensive in the long-term. 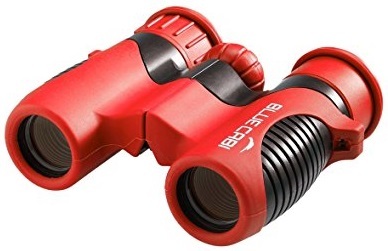 As with any child-related purchase, the price is always an important factor to consider, as you don't want to waste money on binoculars that are easily broken. ​So, you see a set that says “8 x 30”. What this means is that the magnification possible is up to eight times. The higher number in the series refers to the size of the lens. Usually, the higher this number, the greater the field of vision you would have. 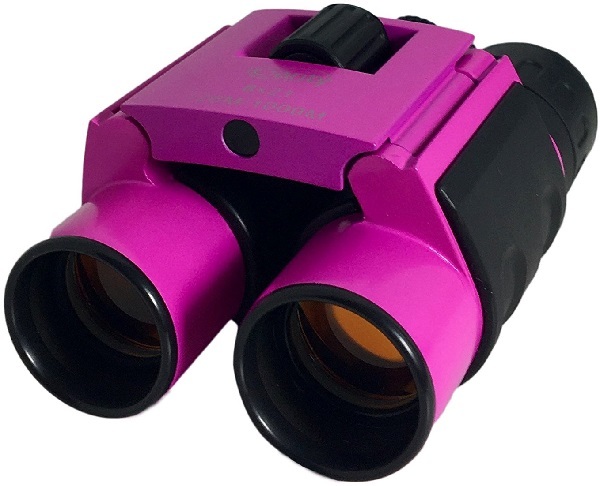 Binoculars are a great way to teach kids some valuable lessons and get them interested in exploring the world outside. Find the perfect option for your kids, and they are something that will fast become a treasured possession.